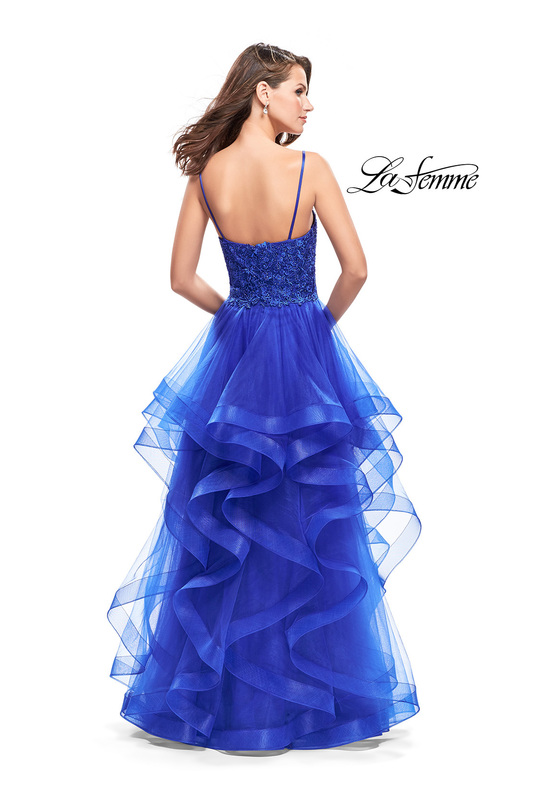 Picturesque ball gown with a cascading tulle skirt. 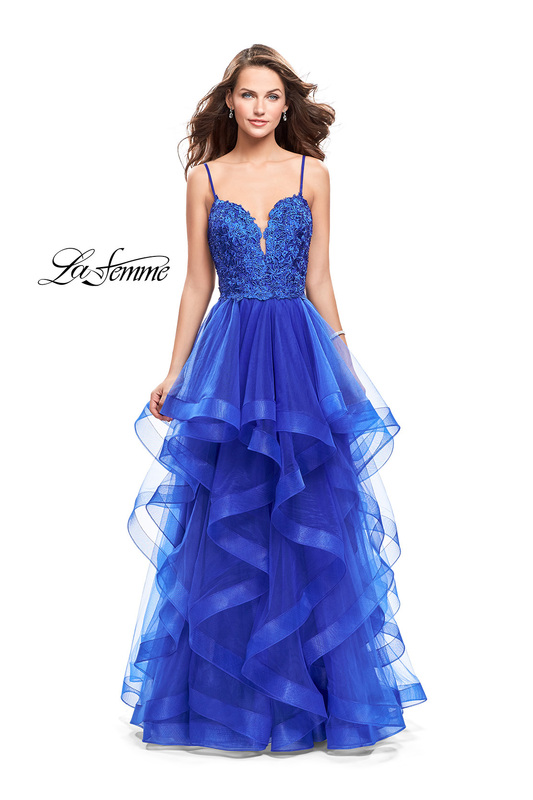 Featuring an elaborately beaded lace bodice with a plunging V sweetheart neckline. Back zipper closure.